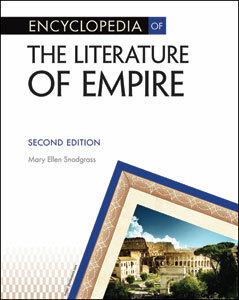 Encyclopedia of the Literature of Empire, Second Edition surveys the world's greatest literature about empires and imperialism, written by citizens of these empires and the colonized people who lived under their rule. More than 200 A-to-Z entries examine authors, classic works, themes, and concepts, all related to particular empires in history or the general topics of imperialism and colonialism. These concepts are increasingly important to literary studies today, and this eBook will be a welcome addition for high school and college students interested in this literary movement. This new edition contains updates to all entries on living writers, as well as other revisions throughout the text.